1 I say before the conclusion! For the first time of whiskey Yamazaki and Famous Grouse! I say before the conclusion! For the first time of whiskey Yamazaki and Famous Grouse! I think that it is “whiskey novice” or whether’ve been searching “whiskey recommend” and the like. I by no means whiskey master.Rather, it is a whiskey novice. The following is a recently of my experiences. sake adult man drink probably whiskey! With that said, I was looking for a whiskey in the “Yamaya” in the neighborhood to try to drink whiskey at home. 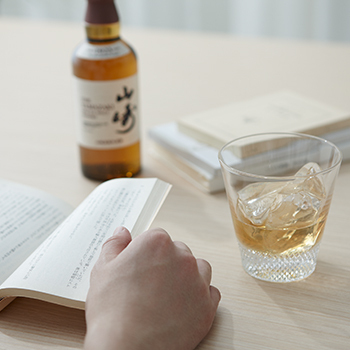 But, since all Wakarai thing of whiskey, I was intently examined the whiskey that recommended for beginners on the iPhone that had the time being. … After all, we were kept standing for one hour near the whiskey corner. Back story, what is good from a certain number whiskey? We will introduce a choice of whiskey and whiskey can recommend beginner to because I’m. Why, this 2 whiskeys ?! Some other also good whiskey! So, there is no problem other than this. However, it does not come off Once you have this 2 Tsunishi If you worry! I feel that. ※ Because such from my experience of the whiskey novice This is the last one of the cases. Well, but it is the choice of whiskey, a point that I recommend for beginners two. I think that it may be from $10 to $20 per 350ml ~ 500ml for one of alcohol expenses. By the way, Famous Grouse is around cheaper and Yamazaki is also about about $15 yen in 350ml. Famous Grouse and Yamazaki is never cheap whiskey. I think that there is also drink whiskey cheaper than this. There will also delicious whiskey is high in reverse. However, it is not recommend these as the first of whiskey, I think that it will from now many times bought whiskey. Since such should drink whiskey as a reference when the first, once you get used to buy cheap whiskey, higher whiskey will no longer put out quite hand even delicious. Since the frequency of drink that it is contrary to high whiskey becomes less, price per day, even to drink without Kokorooki at home is where you want achieved in about beer + α. How to drink , there will be two patterns of straight and whiskey and water to drink easily at home. It is recommended that you buy a whiskey that was in it on whether prefer either as their own. Taste straight and whiskey and water is completely different! For straight Yamazaki, but whiskey and water for recommend the Famous Grouse, will there also those who think “No useless’m both Yamazaki?”. How fun is different in the straight and whiskey and water. Detailed that it as I am to hear from those of experts and professional, you can enjoy it’s my Any Straight beginners tint, flavor, taste, four aftertaste. However, only about taste I’m whiskey and water do not know the difference. Also, in straight and whiskey and water completely different taste in the same whiskey. Also recommended to have Yamazaki and Famous Grouse, by far but is Yamazaki if straight, is more of the whiskey and water if Famous Grouse I like. Two for the first from and for straight whiskey and water is may be bought, but first, you can decide whether you want to drink in either yourself straight, of whiskey and water, it is hard out that it will choose a whiskey that is suitable for it. Finally, this is three types would like to recommend drank the Yamazaki. Especially Mccarran Whisky will tension a little value, but you should drink absolutely. Copyright© 4番は司令塔 , 2015 All Rights Reserved.